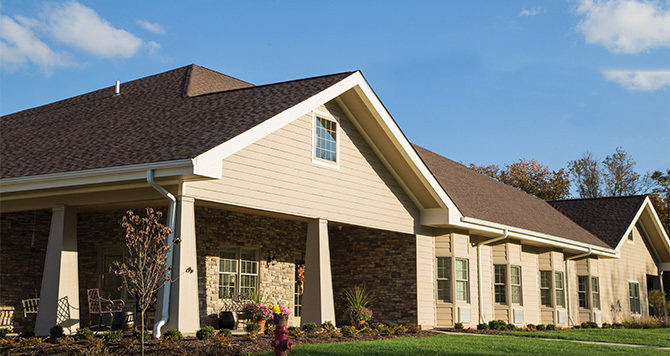 At Serra Manor, we provide assisted living for those who need some supervision. Our focus here is helping our residents live a more rich and productive lifestyle. 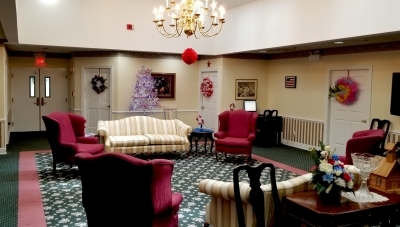 We provide an elegant, comfortable environment that offers freedom in a carefree atmosphere. 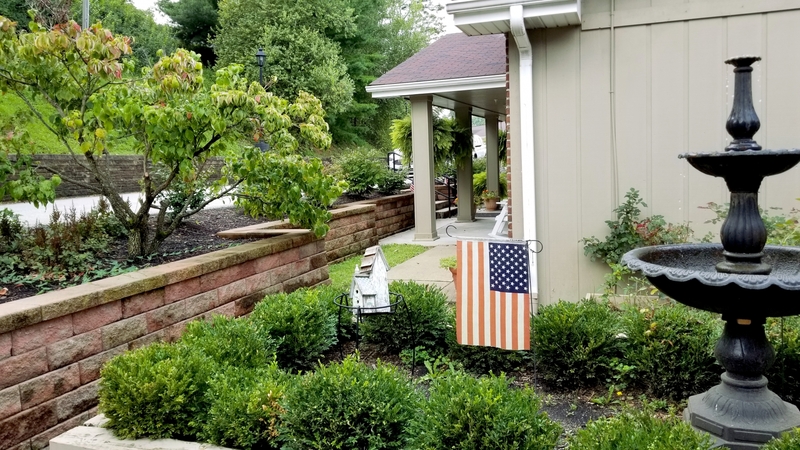 It’s important to us that we both facilitate privacy and freedom and also provide activities you can do with your neighbors. Automated security and staff are here 24 hours a day. We have an emergency call system and a central fire alarm system for maximum safety and peace-of-mind. 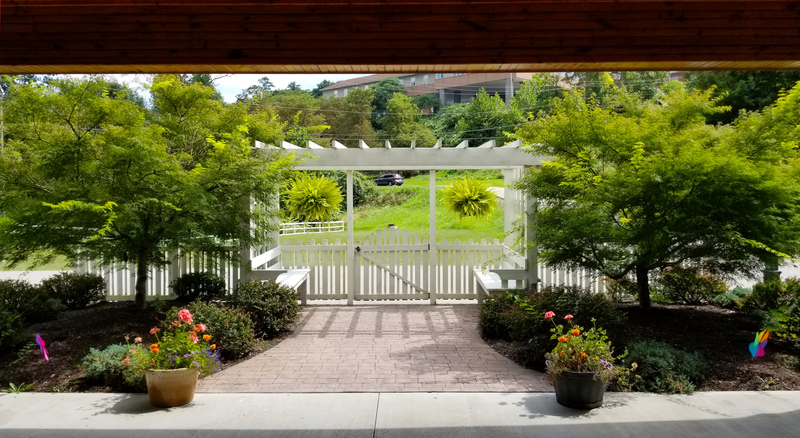 At Grace Cottage, one of our two Garden Cottages, we offer the same amenities as we do at Serra Manor but with the addition of an exceptional and unique method of care–the utilization of universal care workers. So, what exactly is a universal care worker? These highly skilled workers have a been trained in a multitude of skills with the single purpose of providing for each residents every need. They work to provide the greatest comfort for our residents, including attentive physical care, social and spiritual support, and meals served in a family-style environment. 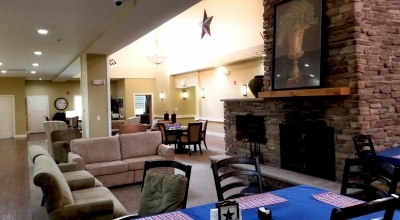 Our goal is to develop deeper, more personal relationships with our residents. 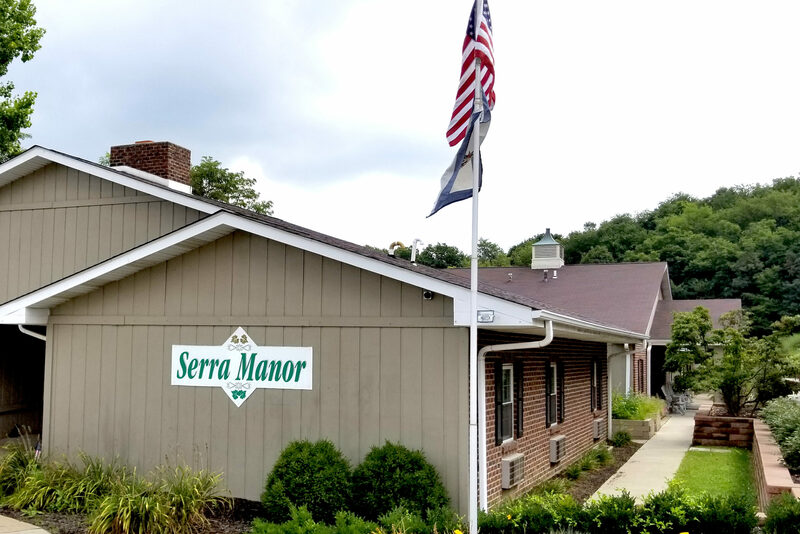 Our newest addition to the Serra Manor family of facilities is Hope Cottage: a separate 14-bed Assisted Living/Dementia Unit. Hope Cottage was built to provide 24 hour supervised care to adults with Alzheimer’s or related Dementia. Hope Cottage is fully staffed with licensed professional nurses, nurses aides, and activity staff. 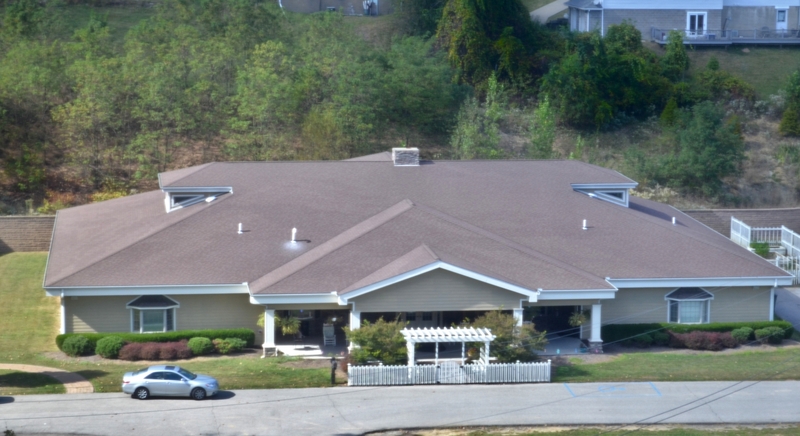 We emphasize person-centered care in a comfortable, warm, and safe environment. Hope Cottage is beautifully decorated with private bedrooms and bathrooms. 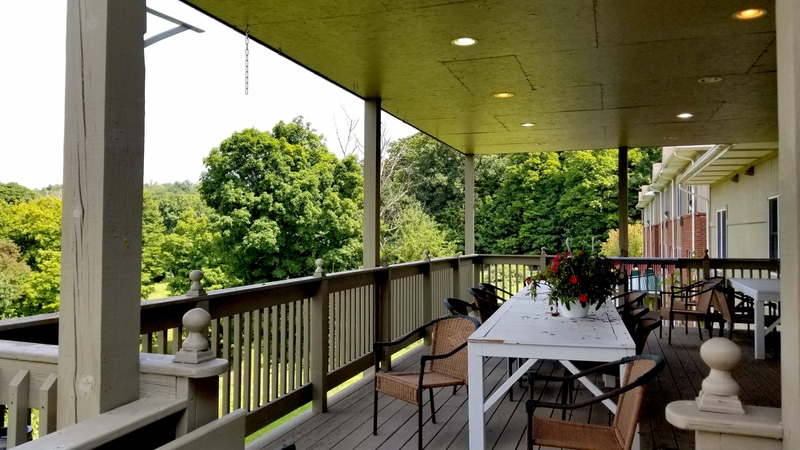 The cottage has an open kitchen and great room as well as a secure outdoor patio and garden. 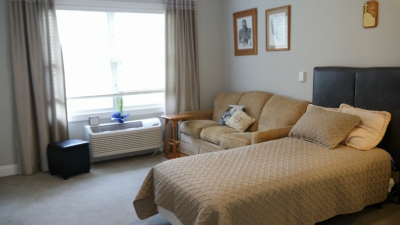 Serra Manor consists of 28 beautifully– decorated, fully-furnished rooms with private baths–all on one floor. Both Grace Cottage and Hope Cottage have 14 private rooms with baths, home-cooked meals, housekeeping, and round-the-clock health care services. We welcome our residents to add their personal touches to their rooms–whether it be pictures and keepsakes or even a favorite piece of furniture. Outside Grace Cottage, you can enjoy a shaded front patio, while Hope Cottage features a secure back patio and garden. It truly is a serene environment. This is your home and we want it feel that way! Serra Manor and the Garden Cottages provide in-house barber and beauty services, available for your convenience. If you need transportation scheduled, we’ve got you covered. When it comes to recreation, we can keep your loved ones as busy as they’d like to be. We offer planned trips, exercise programs, entertainment and many other special activities, year-round. When it comes to dining, you’ll enjoy our elegant dining room with table-side service of three daily meals and snacks. • Three nutritious, well-balanced, home-cooked meals a day, plus an anytime snack. • Linen and personal laundry service. • Supervision with bathing and dressing. • Registered Nurse supervision daily and on call 24 hours a day. • Specially trained Nurses’ Aides 24 hours a day. Want to know more about Serra Manor and the Garden Cottages? Please call (304) 723-5363 or (304) 723-3160 for more information or to schedule a free tour and evaluation.